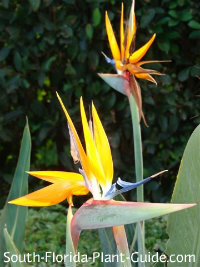 ...beautiful, exotic, and easy to grow! 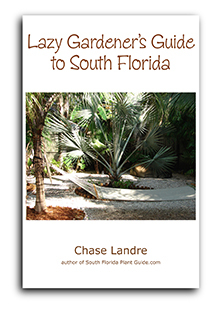 Once you get to know Florida Landscape Plants, growing them is easy! If you live in the southern half of Florida - from (approximately) Tampa to Melbourne and southward - this guide's for YOU! The Plant Pages give you all the basics - and then some! 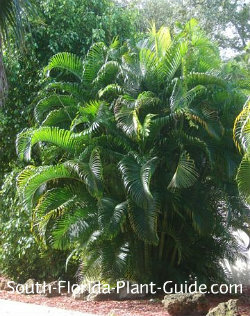 You'll find Zone 9 plants as well as those for Zone 10 - Florida shrubs, palms, trees and flowers - so you have choices that are right for your specific area. 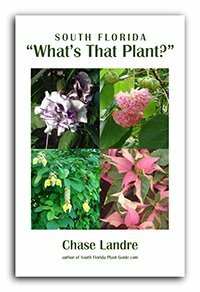 South Florida Landscape Plants are unique, so each one has its own featured page. is it drought-tolerant, salt-tolerant, cold-hardy? is it a good Snowbird plant? You might be feeling helpless when it comes to South Florida landscaping and gardening...unfamiliar plants, soil that's mostly sand, relentless sun, torrential rains (or long stretches with NO rain), and almost 12 months of growing season! Even if you were an avid gardener in your "home state," you're starting over and the learning curve might seem steep. 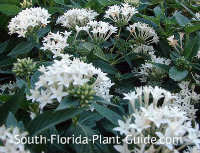 YOU are the reason this site exists - South-Florida-Plant-Guide is designed especially with you in mind...so take heart! Your answers are right here! I have been on many, many gardening websites and I must say, your website is so informative, so specific. I have learned more in half hour on yours than hours on others. I love it! Great site. At last I've found what I need all in one site. Good job and keep it coming. This information and pics are tremendous. This site is awesome! 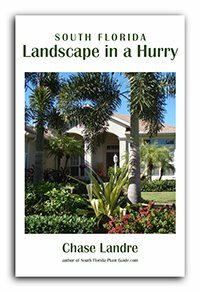 We will be moving from Pennsylvania to Cape Coral this summer, so landscaping and gardening will be all new. I will check back often. Keep up the good work! We are landscaping our entire back yard and I stumbled upon your website...I love it!...This is my new go-to source. Thank you for this web site!!! I was an avid gardener up north and moving here in South West Florida was a dream. Until I started to garden! It is very disheartening when trying to figure out how to garden here but your website really helped me. Thank you so much! It is amazing to find such a resource. Your site is beautiful and informative. I have just moved to Florida and I am excited about exploring the new trees and plantings on my property. Your site has been so helpful. I have identified just about everything! Thanks for such a well informed and easy to use website. Just wanted to thank you for an AWESOME website. Just found your website. LOVE IT!! We just moved to Florida 5 weeks ago, and are starting to work in the yard that had been allowed to go wild for years. So excited to find your site to help begin to understand the different kinds of plants that grow here. thank you so much!! Thank you for putting together such a wonderful website! 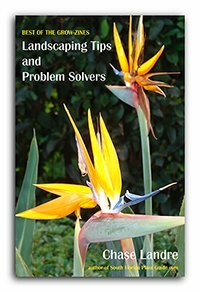 As a first time homeowner I'm finding the landscaping process incredibly overwhelming, and after several months of searching, unsuccessfully, for a comprehensive online guide I FINALLY came across your site and am so thankful! Love your site - can't say that enough!! I'm an avid gardener and your site gives just the right extra info I need for deciding on adding and redesigning the yard to my new home. What a great site full of wonderful info. I gardened in the Philly area, even won best mid-size garden in the PHS contest...but was clueless down here. My garden is over grown with so many great and not-so great plants, your site has helped me identify good from bad. Thanks! I am moving to Palm Harbor, FL, in a few weeks. I stumbled on your site, and I just wanted to tell you that it is enormously helpful! I am looking forward to having a Florida yard to landscape, and the information here is great! I've bookmarked this site and will reference it often. Thank you! Wanted to let you know I came upon this site by pure coincidence. It is THEEE best designed web-site I have ever seen. Thank you sooo very much. I have learned more than I ever knew in the last 30 minutes and I have lived in Sarasota for 30 years. (Formerly CT) Very enjoyable and informative reading. I now expect great results from myself. I live in Tampa Florida, and I’m a relatively new homeowner. I don’t have the means to hire a professional landscaper, so I have begun to do much of the work myself, and slowly but surely landscaping is begin to take shape. I have found your website to be one of the most useful tools in planning my yard, shopping for plants, and getting information. It is so useful and helpful and well organized. I just wanted to say thank you. 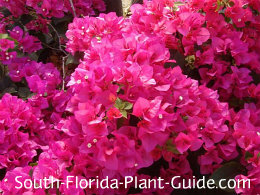 South-Florida-Plant-Guide strives to be a user-friendly reference and info website to give just the right amount of information homeowners need about Florida Landscape Plants. Plus - there's a lot of wrong information out there...and even a little bit of wrong can mean life or death to a plant. "The right plant for the right place." Sounds simple, doesn't it? Yet it's the one basic key to success. 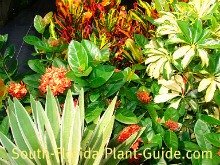 South-Florida-Plant-Guide is here to help you choose that right plant for the planting area you've got - and to choose the plant that's right for you! Check out my latest ebooks! Learn how to get instant curb appeal! Make your landscaping as low-maintenance as possible! SIGN UP FOR OUR MONTHLY "GROW-ZINE" - see the Sign-Up Box on the right side of this page. IT'S HERE! 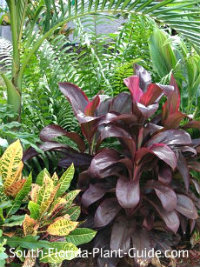 South Florida landscaping ideas to go - plant groupings you can use or customize for your home's landscape.